Engines from 800 hp (600 kW) to 13.000 hp (9.600 kW). MaK manufactures the optimum pro- pulsion plant for every type of ship. MaK-engines have been run- ning on heavy fuel for 20 years. 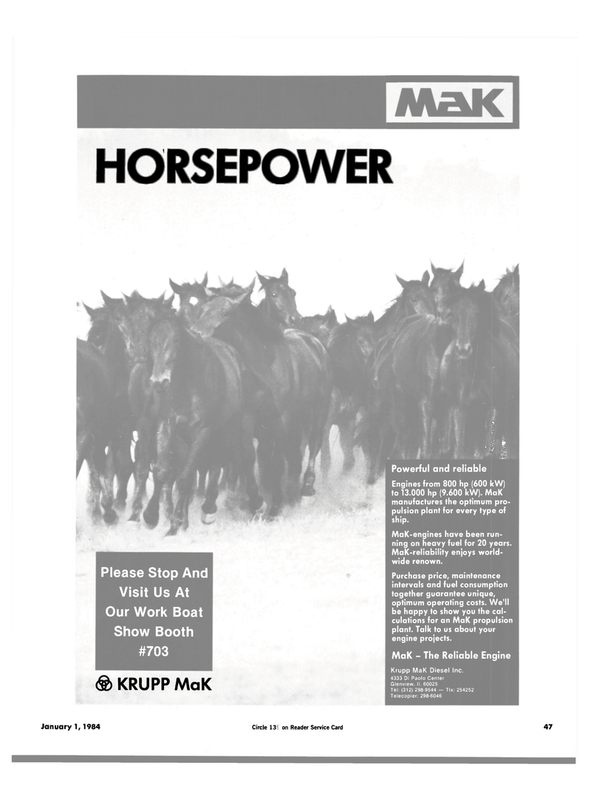 MaK-reliability enjoys world- wide renown. Purchase price, maintenance intervals and fuel consumption together guarantee unique, optimum operating costs. We'll be happy to show you the cal- culations for an MaK propulsion plant. Talk to us about your engine projects.